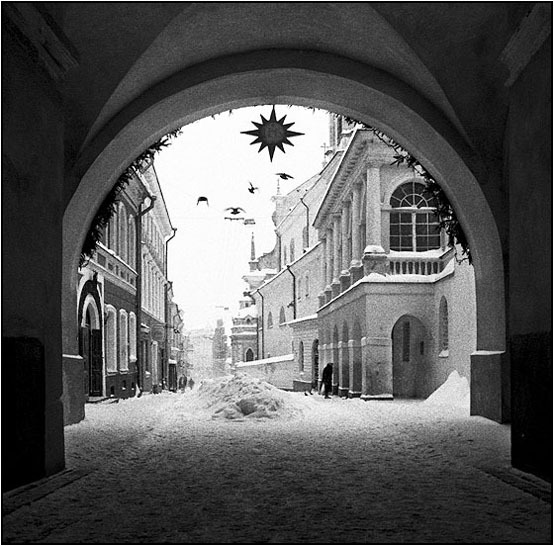 Фото "Holly gates in Vilnius"
From winter series. The picture of the holly gates in Vilnius capital of Lithuania. Before the World War 2 Vilnius was polish city, and center of polish and Lithuanian Catholic Church. Now it looks like that. Irzhi Korn что значит не совсем правельно? Город газывался Вильно, что еще не так? A wonder in B&W technique. With very good frame. Great photograph. My congratulations, david. very beautiful picture and composition, David! !